Is your laptop broken? Computech Data Services can repair Windows based laptop or desktop. Our repairs include, but is not limited to hardware issues, virus or malware removal, lockup or freezing issues, blue screens or operating system reloads. 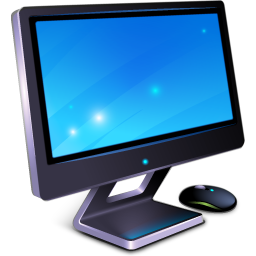 In most cases our technicians will determine if repairing a PC is cost effective prior to performing the actual repair. Your users depend on their desktop everyday. Computech Data Services offers comprehensive technical support for all your computer needs. We offer remote support which provides immediate assistance to your users. Our management services includes configuring, monitoring, maintaining, and securing all of your business computers. Computech Data Services technicians can configure, install software, patches or updates on your desktop. Do you need multiple monitors, printers or scanner installed? We have the proper resources to install all of your computers and other peripherals to satisfy all your business needs. Need a whole office set up or moved? Our technicians have you covered in most cases with minimal business impact. Are your computers protected from harmful files? Do you have a hard time filtering through your emails? Computech Data Services provides a thorough virus, malware, and spam protection. Our managed services can continuously monitor your computer’s health. We also use the most up-to-date anti-virus or anti-spam applications. As part of our service our technicians ensures that the latest patches and drivers are properly installed on your computers. In some instances when either upgrading your computer or a complete computer loss, Computech Data Services technicians can properly move all data onto the new computer or laptop. Our technicians will be happy to move your email, favorites, pictures, music and other files. We also offer complete computer backup solutions. Having trouble with your computer? Computech Data Services technicians have over 15 years of expertise to troubleshoot most computer issues. In most cases troubleshooting and some fixes can be done remotely or by phone. If issues can not be resolved remotely we can dispatched a technician at your facility on a timely manner. CompuTech Data Services Servicing Ventura County Since 2004!